We welcome and invite you, your family & friends to come and enjoy our newly acquired Northwoods lake home tucked away on a secluded private road on a protected bay beside the famous Chippewa Flowage Wilderness Lake. Located only 20 minutes East of Hayward, Wisconsin in the middle of the Chequamegon National Forest. Our quiet lake home is nestled on the sandy shore of Brinkman's Bay just off Moore's Bay and the West Fork of the Chippewa River, gateway to 17,000 pristine acres of unlimited world class fishing opportunities among the many floating bogs, over 125 undeveloped islands and over 200 miles of undeveloped shoreline. Centrally located in Sawyer County surrounded by thousands of acres of public hunting land, all open to exploring, hiking, site seeing and recreational opportunities of all kinds. Come and enjoy this untapped wilderness area with endless opportunity for outdoor adventures, activities and family fun. This home features 4 bedrooms and 2 full bathrooms that sleeps up to 10 guests. This cabin features a three season room for eating, lounging, reading or board games, a lower level walkout patio and deck overlooking the water for sitting out and relaxing. Our Northwoods decor features unique slab and chink finish for interior walls, wood floors throughout, custom log cabinets, a fully stocked kitchen, a camp fire site and a black top driveway. A laundry room with washer and dryer, and freezer in garage is also available on site. The main floor has two bedrooms furnished with queen beds in each with an optional queen sofa sleeper in the living room. On the lower level, bedroom #3 offers a queen bed and bedroom 4 offers 1 twin/twin bunk and 1 twin/full bunk. There is a full bath on each floor. The lake home has easy access to the lake shore and is close to many resorts, boat landings, snowmobile trails, and within walking distance to an ice cream parlor. You and your guests will enjoy the many lakeside restaurants that offer burgers, pizza, salads, fish fry, and prime rib available to you by boat or car on the Chippewa Flowage and surrounding areas. For rainy days, the cabin is stocked with board and card games, bumper pool, puzzles, books, and TV/DVD. Included with your rental is the use of the canoes and kayaks provided at the cabin. The Chippewa Flowage and surrounding areas offer unspoiled wilderness and is over 15,000 acres in size being Wisconsin's 3rd largest lake with 200 miles of undeveloped shoreline and over 150 islands with lots of bays and channels giving visitors lots of opportunities for exploring. It is open to all water-sports including boating, jet skis, canoeing, kayaking, water skiing, tubing, swimming, fishing and hunting.The Chippewa Flowage is a world class fishing lake with opportunities to catch Large and Smallmouth Bass, Panfish, Walleye, Northern Pike and of course World Record Musky. Bring your snowmobile, and ride over 600 miles of groomed trails! The Hayward lakes region serves as the hub of the Sawyer County trail system. Snowmobile through hardwood forests, rolling hills and tall pines. Ride the Chippewa Flowage , a focal point of northern Wisconsin that was created in 1923. Jump on the Tuscobia Trail, as it crosses Sawyer County from east to west in northern Wisconsin which connects to the Deadhorse Trail. Trails lead in all directions in the scenic Chequamegon National Forest area where excellent dining can be found along the trails. ATV's and UTV's are welcome on most of the trails. For more winter fun, the Hayward area has over 150 miles of some of the best cross country ski trails in the midwest. You can Cross Country ski one of the many public groomed trails in the area including the premiere world class American Birkebeiner Trail. 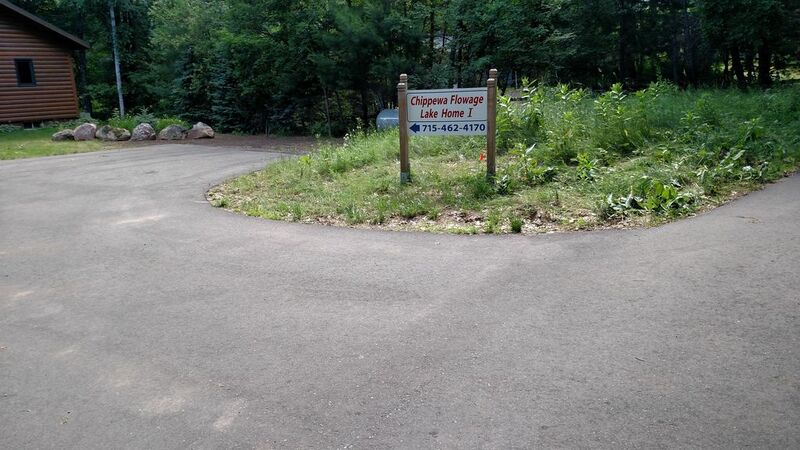 Other trails include the Hatchery Park Trail, Mukwonago Trail, and many more. Snowshoe trails are also available and include HASTA Hospital Trail, Hatchery Creek Park and the town of Hayward Recreational Forest Trail. If you are looking for a great fat tire or mountain bike experience, look no further....Hayward Wisconsin offers many trails ranging from challenging to a casual pedaling experience. The CAMBA Off-Road Bike Trail System has over 300 miles of marked and mapped trails through a beautiful wilderness. Hayward offers professional bike shops, clubs and races. Come ride the areas exceptional trails. The Chequamegon National Forest with its thousands of acres of public access is known for its many hunting, hiking, and trapping opportunities. Wildlife abounds with Elk, Black Bear, Whitetail Deer, Wolves, Coyotes, Bobcat,Turkey, Ducks, Geese, Grouse and occasionally a Mountain lion is sighted. Many of the trails in the forest are managed to enhance wildlife habitat. Many hunter walking trails and logging roads can be found in the forest for easy access. All this just minutes from our Lake home location. The city of Hayward has many things to offer including a movie theater, go cart racing, mini golf, river tubing, restaurants, lumberjack shows, unique specialty shops downtown, including a candy store and a casino just outside of town. Many activities within a short drive from the lake home include: Historical Society Museum, the Fishing Hall of Fame, Wilderness Walk and a Flea Market on Mondays (Memorial Day thru Labor Day). There are over a dozen golf courses for every level of play within a 30 minutes drive. Hayward Wisconsin also hosts the American Birkebeiner Ski Race and the Chequamegon Fat Tire Festival. Our lake home is available for both these events in 2018. Lots of resorts within boating, driving and walking distance. The cabin is about 25 miles from Hayward WI. Cabin has lower level walk out patio and and a deck off the living room. Both with water views. Cabin is located on Brinkman Bay, very close to Moores Bay on the Chippewa Flowage. You can see Moores Bay from the dock. BASICS - Salt, Pepper. Paper towels, garbage bags, oven mitts and Kitchen Towels provided. Electric Stove, Refrigerator, Microwave, Coffee Maker, Keurig, Toaster. Dishes & Utensils, Pots & Pans. Crock Pot, Blender, Baking Pans, Mixing Bowls, Serving Dishes. Canoe and Kayaks and Paddles included with cabin rental. Some Life Preservers available. My family and friends stayed here over the Birkie weekend and had a great experience. The cabin is spacious, clean and very family friendly. The hosts were very attentive to any need that we had and very responsive. I would highly recommend this cabin! The cabin was cozy and well laid-out for a three night stay for five people. We were in the area for skiing, snowshoeing and winter relaxation. The Chippewa Flowage was beautiful for snowshoeing and the location of the cabin allowed us to really explore a few great trails in the area. We drove up to Copper Falls for one day and had an incredible winter snowshoe hike. The cabin itself was relaxing, thoughtfully decorated, and included all the amenities for a comfortable stay. We were greeted with the full welcome wagon upon our arrival and our hosts were very responsive during our stay when needed. The only disappointment was learning when we arrived that the fireplace was not available for use. We made the best of it by streaming a YouTube fireplace on the mantle television. The hosts tell me this issue will be resolved in the future. House was well kept and had a beautiful Northwoods feel. We went for an ice fishing trip. The fishing and weather could have been better, but that's fishing. Great sleeping arrangements with three queen beds and bunk room. Parking was ample for trucks and trailers. The only thing I have to complain about is the wi-fi did not work as advertised. A heated garage to thaw out the equipment overnight would have been nice, but I realize that is asking a bit much. I would love to stay here in the summer. Thanks for the review. I apologize about the WiFi. I will leave instructions for trouble shooting the WiFi in the guest book for future guests. We hope you will be back in the summer! The finest vacation rental property we have ever stayed at! Thank you for the review, you were awesome guests and we look forward to having you back! Had a great time staying at this property, it is just as nice as it looks in the photos. All the necessary amenities to make for a nice home away from home. The boat access is nice as well, tucked away in a quiet channel with easy access to the main body's of water on the Chippewa Flowage. Definitely would stay again! Thanks for the great review, we look forward to having you as a guest again in the future! Thank you for taking the time to write a review and thanks for being a guest at our lake house, we would love to have you back again! The Chippewa Floawge is a 15,000 acre premiere fishing lake with unspoiled wilderness and over 200 islands. The Chippewa Flowage is known for its excellent musky fishing. Hayward WI is home to the American Birkebeiner (save the date February 23, 2019), the Lumberjack World Championships and the Chequamegon Fat Tire Festival which takes place in September. Hayward also hosts the LCO Honor the Earth Pow Wow, the Musky Festival and the Hayward Fall Fest.